You have to click as close as possible to the capital city requested. 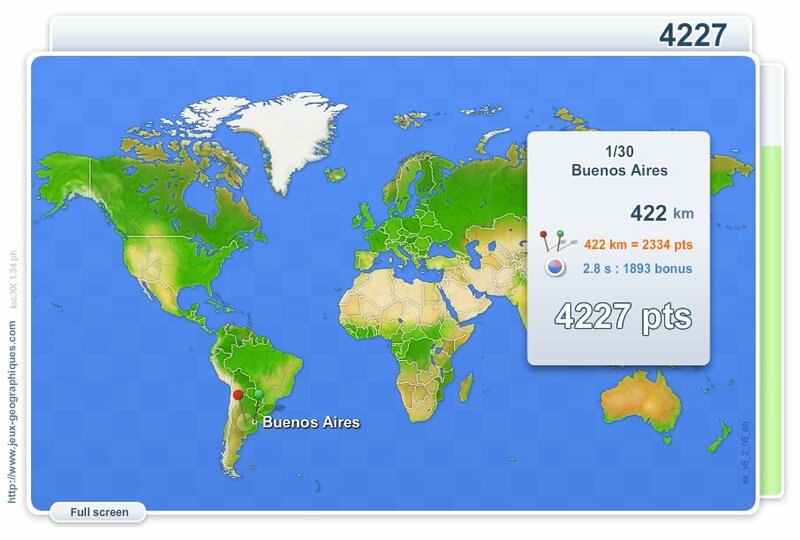 Your scores are calculated based on the distance between your click and the true location. There is a time bonus each time.